Editor's reply: While the Amazing Spider-Man comic books get most of the attention from collectors, Spectacular Spider-Man is growing in popularity. This is largely because the average collector can no longer afford fine copies of early Spider-Man issues. Here is a link to current auctions featuring Spectacular Spider-Man #2 on eBay. 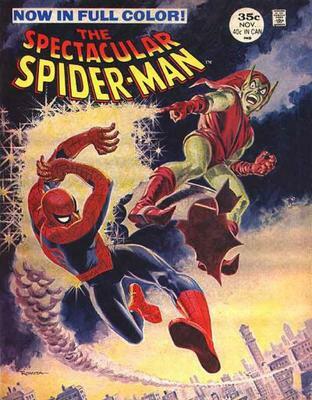 In the late 1960s, Marvel released a large, magazine-format comic called Spectacular Spider-Man. It only ran for two issues. Issue #2 in 9.8 CGC is worth around $500-650. 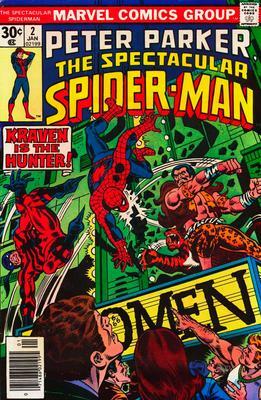 Then in 1976, a new run of Spectacular Spider-Man comics started. Issue #2 of that series is worth around $80 in CGC 9.8.